Would be nice if Doug and Paul,even Nibbs could transcribe their own tabs and feature them on the site for us to play with. yeah almost Deeds of Glory and The Eagle Has Landed and Dallas 1pm solos! yeaah come on Saxons ! Lol i mean 'other bands' forums have sections for musicians to talk, so it would be cool if we did also. 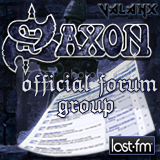 Well, in the latest period I'm listening only to Saxon!!!! All the saxon tabs ever done!